The Dandenong Ranges and The Yarra Valley are popular tourist destinations with a large selection of restaurants, wineries and beautiful scenery. The area is popular for romantic couples and for weddings. One of the most popular ways to pamper yourself on a visit to the Dandenongs is to visit a day spa, followed by an intimate lunch date. Not all day spas are the same. Having the right day spa treatment, combined with attentive staff that listen and respond to your needs, will leave you feeling renewed and with an appreciation for the magic that talented spa therapists and ancient spa treatments can bring. Massage: Day spas offer massage in a range of styles, including relaxation, deep tissue, hot stone or Lomi Lomi. Experience a massage for an hour or 80 minutes, or combined with bathing or other signature rituals. Facials: Facials usually concentrate either on restoring hydration or improving the look of skin that has been neglected or is suffering the effects of stress and bad habits. The products used during a facial will vary. 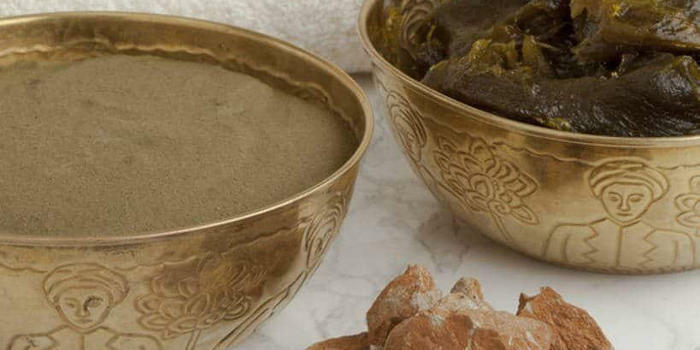 Some day spas use traditional ingredients like black sea mud to rejuvenate skin. Pamper yourself with a luxurious Radiant Date Facial to soothe and rejuvenate tired skin. Body Rituals: Body rituals take you on a journey through a range of treatments to enrich and pamper your whole skin and body. Traditionally rituals begin with opening the pores with bathing or steam room, followed by luxurious exfoliation and enriching the skin with luscious ingredients or mud. Indulge in a traditional Hamman Beauty Ritual with exotic black olive soap, steam and shea butter for an opulent skin experience. Hot Springs Bathing: Waters flowing from deep within volcanic rock contain rich mineral deposits that improve blood circulation, metabolism and bring about relaxation. There’s nothing like bathing in hot mineral springs or inside in a steamy, Turkish bath, to relax body and soul. Bathing at day spas vary between shared outdoor bathing, private indoor bathing and private timber hot tubs. Japanese Mountain Retreat offers luxurious outdoor bathing in complete privacy surrounded by Japanese style gardens. Bathe indoors under a domed ceiling in a traditional Morrocan Hamman. Couples Treatments: Some luxury day spas offer day spa packages specifically as couples experiences. These packages are all about romance and include a couples massage, romantic body rituals for two, or a combination of private bathing, massage and lunch. These packages are perfect for a special anniversary or birthday celebration. Experience a one-of-a-kind escape and nourish your body with the Arabian Steam Temple Journey for two at Japanese Mountain Retreat. Lunch: After a really good massage or beauty treatment, you can complete your experience with an intimate lunch. Some day spa packages include combinations of massage treatments, hot springs bathing and a decadent platter, wine, and delicious local produce. 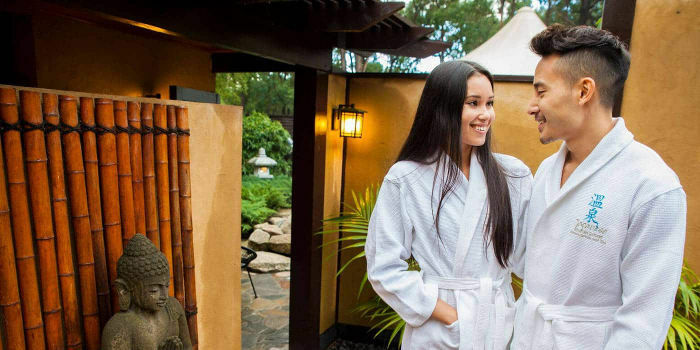 Choose from a range of decadent and relaxing day spa packages at Japanese Mountain Retreat and enjoy delicious Yum Cha or a Morrocan lunch in the resort restaurant overlooking the gardens. Where is Japanese Mountain Retreat? 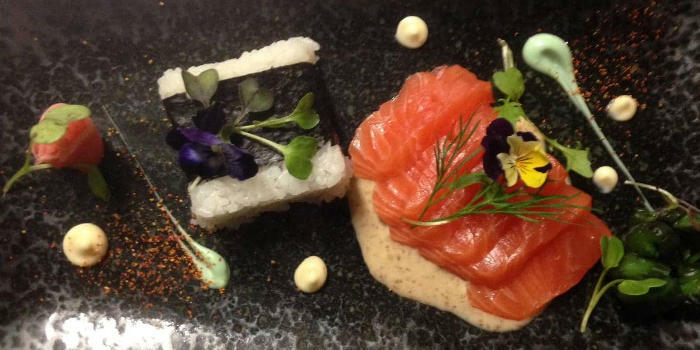 Japanese Mountain Retreat is a luxury destination day spa located at the gateway to the Yarra Ranges. We provide luxury day spa experiences and accommodation and spa packages for romantic couples on a completely secluded five acre resort. Experience bathing privately in an indoor mineral spa or outdoor in Melbourne’s most private hot mineral springs, drawn from deep within the Dandenong Ranges. Our romantic accommodation packages are the perfect way to celebrate your romance, staying in completely private Japanese style villas, with unlimited hot tub bathing under the stars, luxury spa treatments and romantic dining.